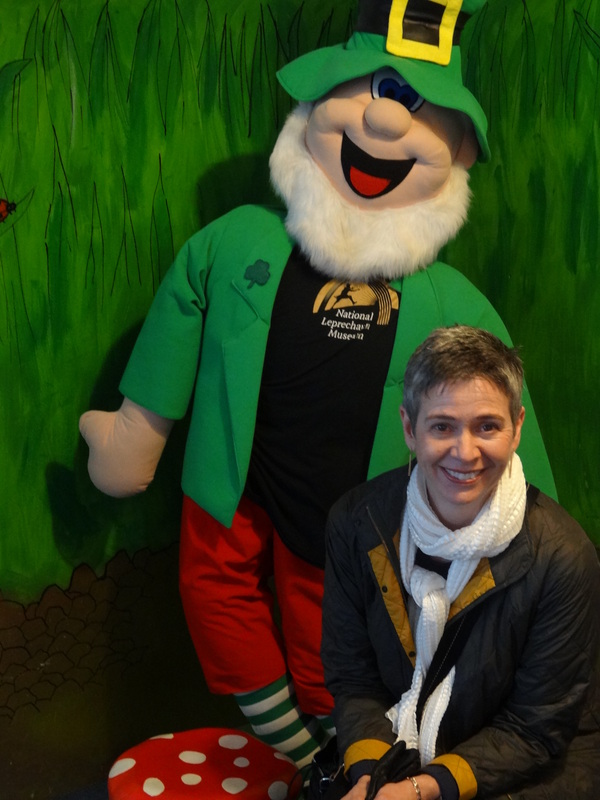 Patty & friend at the leprechaun museum in Dublin! It’s hard for us to believe that it’s been three years since our extraordinary private tour of Ireland, Patty’s ancestral home. But today, St. Patrick’s Day, we’re thinking about the emerald Isle and all it offered to us. We began with the delights of Dublin, a truly wonderful city. Then our tour took us to the ancient site of Newgrange, south to Cork, then on to Killarney. We marveled at the Book of Kells in Dublin, Blarney Castle, the breathtaking Dingle peninsula, and a number of sacred places along the way. Ireland truly is green, but it’s much more than that. It was for us a trip that had long been on our bucket list and we’ll go back the moment that the opportunity presents itself! Sometimes a perfect day for discerning travelers relies largely on the weather cooperating. At other times the weather be damned! Earlier this spring we spent a perfect day in Dublin and were determined that weather would not play a part in our enjoyment of every single moment – and that was a good thing! We left our hotel (the Westin Dublin) shortly after a wonderful breakfast in their charming dining room heading across the street to Trinity College. 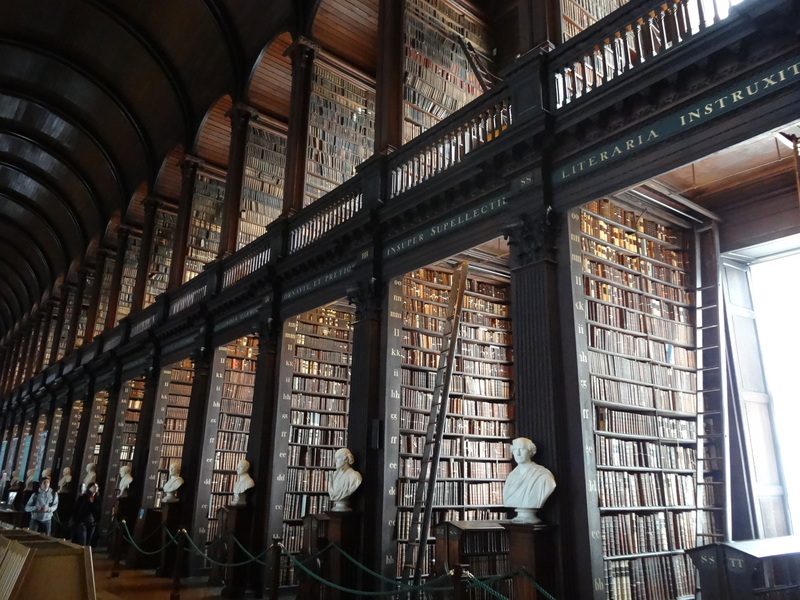 Our first stop was to visit The Book of Kells and the old library. A library might not seem so exciting to you, but Patty has a long and happy association with libraries. He very first part-time job at the tender age of sixteen was working at her home town’s children’s library – the highlight of each week was setting up the projector on Saturday mornings to show short films to children huddled in a circle of tiny chairs. Then she stacked books at the main library during her first year in university. Art spent many hours searching for books in the old science library when he was an undergrad at the same university. So, the association is long and deep. The Book of Kells is an extraordinary piece of history. Dating to what historians believe to be about 800 AD, the display of this illustrated text of the bible created by Columban monks evokes a feeling of closeness to history. And then you move into the old library with its extraordinary collection of antiquarian tomes that are currently being restored by artisans working on the mezzanine you can see above. 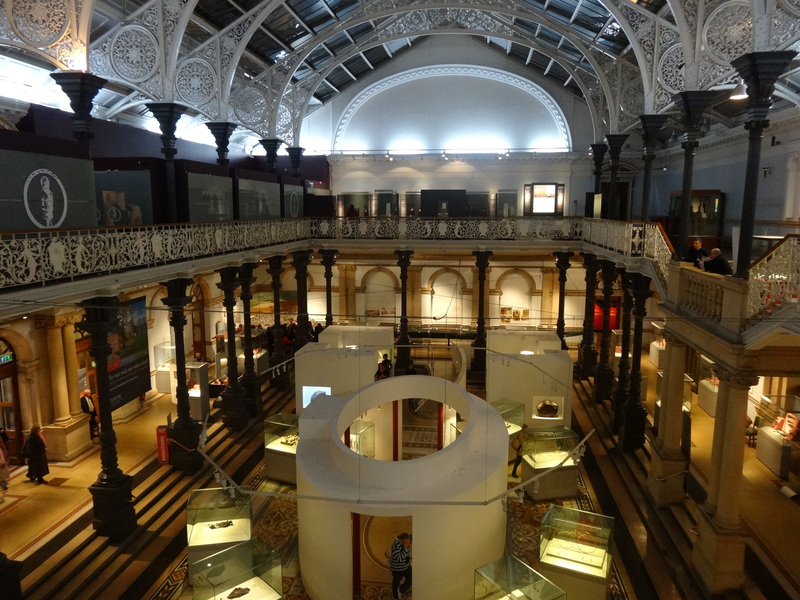 The museum of Ireland’s architecture is worth the visit in itself! One of the things that made this visit so perfect was our timing: we visited in April and spent not a single minute in line, a situation that we’re told does not occur in high season. It was bliss! Then we walked out into the overcast day to make our way to the National Museum of Ireland. Even if you’re not a museum lover, this is one not to be missed. We are constantly impressed by the skills of Irish and English museum curators to tell a story. Perhaps our impression results from these two countries having rich histories that date much further back in time than that of our young homeland. Whatever the reason, this museum transports you back in time to the Viking days of Ireland and then moves you through history. Who knew that bogs could preserve even clothing let alone human bodies for so many centuries? Even the building itself, purpose-built in the 19th century as a museum, is an outstanding specimen and should be appreciated in itself. That visit finished, we headed outside and made our way to St. Stephen’s Green for a bit of outdoor appreciation. Our enjoyment was magnified by the fact that although Dublin is significantly farther north of our own home town, the climate is quite different and the spring was much further advanced here. The flowering trees were in full bloom and the respite from the noisy city was complete. Then it was time for lunch. 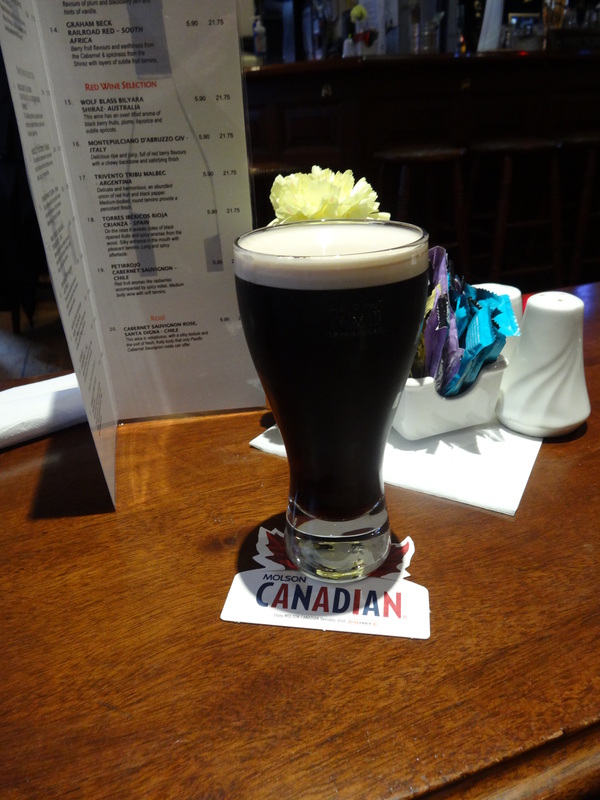 Guinness: An Irish tradition served on a Canadian beer coaster! With a recommendation from our driver who would soon be taking us on that private tour of Ireland, we stopped into The Old Stand for a pub lunch and our first taste of Guinness. This is a pub that has been in this same location on Exchequer Street for some 300 years. When the waiter placed the coaster on the table upon which to place the half-pint of dark, frothy Guinness, we both smiled and asked him how he knew. Knew what, he asked. That we were Canadians. The coaster was an advertisement for Canadian beer that was at that time being widely promoted in Ireland with the slogan “From our land to yours.” He smiled broadly when we told him we were Canadians as Patty tasted her first Guinness. Then it was off to a famous landmark. St. Patrick’s Cathedral dates from 1220 AD; a visit to Dublin would not be complete without seeing it. What a surprise it was for us to find out that this well-known landmark is not a Roman Catholic Church at all, but rather the national cathedral of the Church of Ireland, a denomination of Anglican persuasion. We know that a steady diet of church visits is not everyone’s choice when touring – it is not ours either. But from time to time you do need to visit a church or two to really get the flavor of the place in time. So that’s why we then planned a walking route across the River Liffey to find St. Michan’s church. And that’s when the heaven’s opened and we found ourselves in a veritable deluge. Although we had umbrellas, the wind was moving the torrents of rain horizontally so they did us little good. We took refuge under the eaves of the law courts for a few minutes until we thought it safe to continue. We were wrong. By the time we reached out destination we were soaked. Good thing that this particular church is known for its dry interior! Not exactly on the tourist route, St. Michan’s church is Dublin’s oldest north-side parish church founded in 1095 with the present structure dating to 1685. It’s that dry interior in both the church itself and the vaults beneath that are what makes this church so interesting. That’s why there are completely preserved, desiccated bodies that can be seen as you make your way down into the underground vaults with the guide who is a cross between Boris Karloff and a stand-up comedian. After two churches, a museum and a library, and finding ourselves still on the north bank of the Liffey, it was time for something completely different. A short walk found us standing in front of the National Leprechaun Museum. We know. We can hear you now. The Discerning Travelers at a museum dedicated to leprechauns? In a word, yes. A relatively new addition to the tourist attractions in Dublin, this is less of a museum than it is a place to hear a really good story teller tell stories about one of Ireland’s most ubiquitous mythological characters. Patty’s opening question to the ticket seller at the front was, “Do you let adults in?” To which he replied that in fact adults were their main audience. So we entered, and we enjoyed. The sun was out when we emerged from our stories of the “little people” and it was now late in the day. We had one more important stop to make. On Custom House quay in the Docklands area is the mesmerizing Famine Memorial that remembers the great famine that engulfed the Irish people in the mid- 19th century. Although our histories are a bit murky, it’s likely that Patty’s family made their way to Canada aboard one of the so-called famine ships. 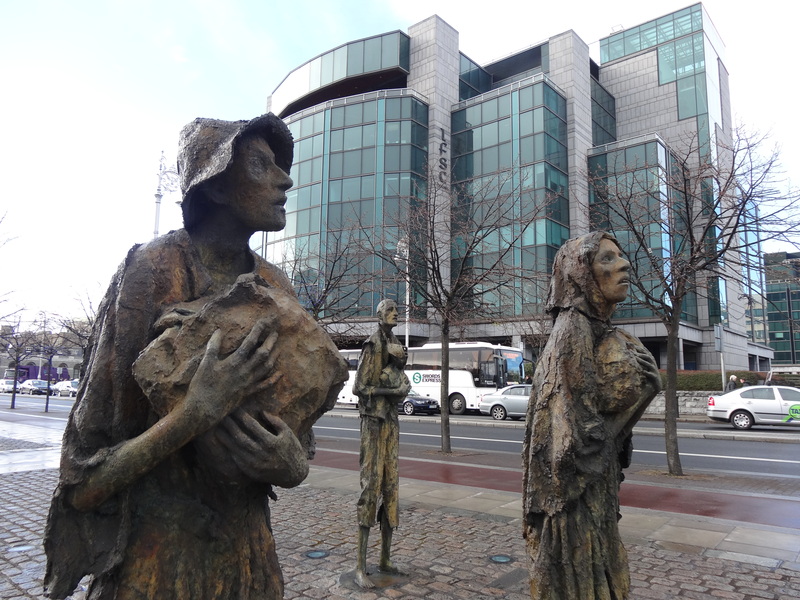 The monument that we had to see is a heart-breaking set of bronze sculptures that depict hollow-eyed, hungry people making their way along the banks of the River Liffey toward the ships that promised them a new life in a far-away land. And for many of them, this promise came true, as their descendants have the privilege of traveling the world to appreciate all that it has to offer. The Famine Memorial on the shore of the River Liffey in Dublin. Take a few moments to remember. Castle – the very word conjures up images of knights and ladies, opulence and intrigue. And a trip to Ireland would not be complete without a few castles. So, when we planned our recent chauffeured tour of the Emerald Isle, we made sure that there were castles along the way, both to visit and to stay. So, come along with us for a trip into history and share our castle experience. Let’s start by making sure we know what the term castle means (trust us; this is important if you’re to understand the experience!). Most people think that castles are home to royalty and their servants (that would be a palace by actual definition), but the real definition of a castle has more to do with fortifications and protection – and it was not always for royalty, although given the resources needed to actually build one, clearly they were not erected by the common man – or woman. So when you consider visiting – or staying in – a castle, you’re really going to be experiencing an historical creation that might have been built by royalty, but more likely was built by other powerful leaders or even families who needed to protect villages or families, or both. Waiting to kiss the Blarney Stone! 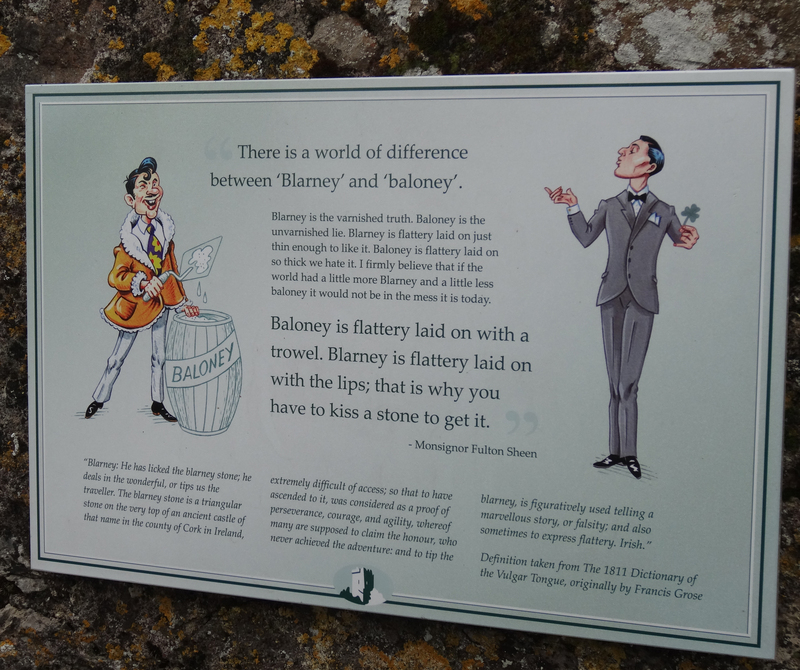 As we left Dublin we headed south toward Blarney, home to the famous Blarney Castle with its legendary stone that must be kissed (we’ll get to that!). Built some six centuries ago by a powerful Irish chieftain, Blarney Castle itself might take you by surprise. It is a tower castle, and as such when you go inside you are on the bottom floor of a relatively small tower that once had a number of stories each of whose floor was at one time made of wood so now no longer exists – you can see right up through to the sky. But you need to make your way up to the top via a narrow, well-worn stone stairway, and as you do, think about what it must have been like to fight your way up or down those narrow stairs! When we reached the top we were rewarded by a breathtaking view of Blarney Castle’s gardens which were fabulous in their early-spring glory. 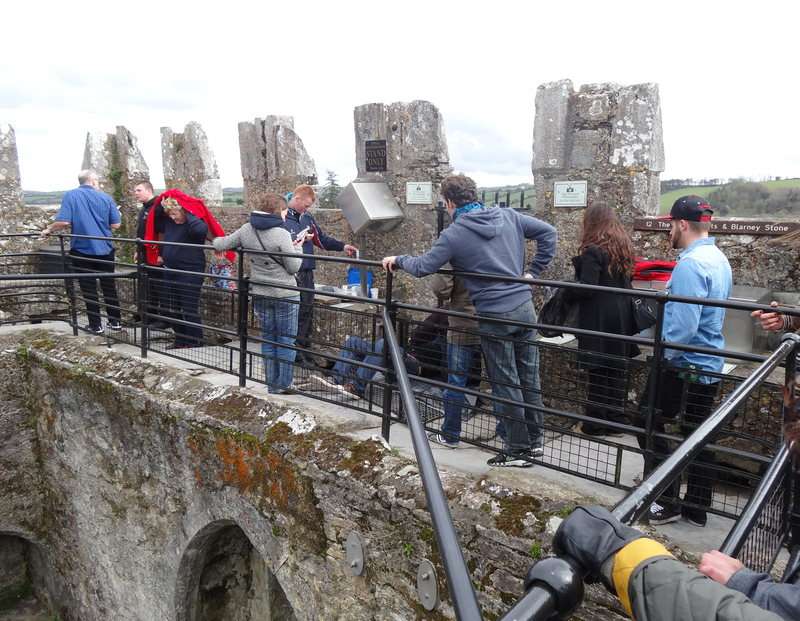 And at the top, the Blarney Stone awaits. In case you’ve forgotten, the whole point of kissing the stone is so that you can acquire the ‘gift of the gab.’ Well, anyone who has ever met Patty in particular will know that this is wholly redundant! But she reluctantly took her place on her back on the stone floor of the open-air battlement, and duly hung her head out backwards into the opening in the stone work as you must, since the Blarney stone must be kissed from underneath while one’s head hangs out hundreds of feet above ground. In position, she decided that she didn’t really need to kiss the place that hundreds of other lips had just passed over. But it was worth it all the same. 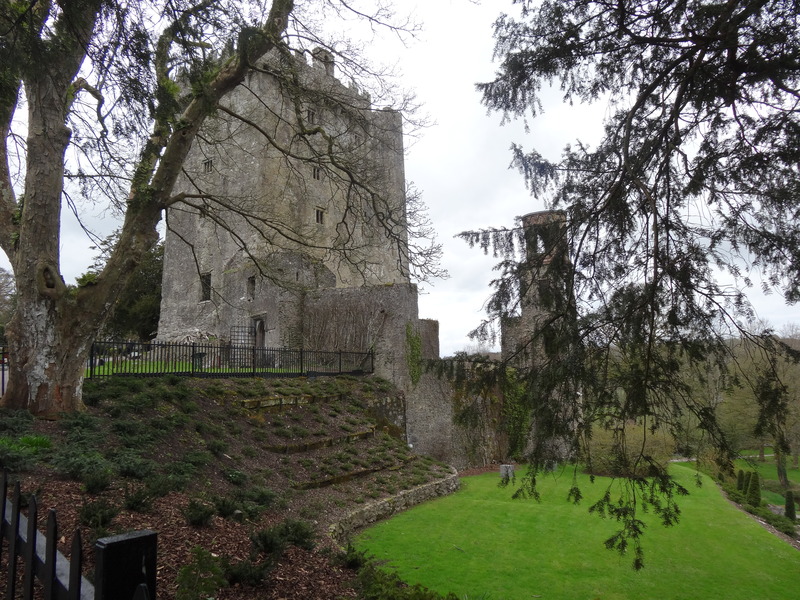 One legend has it that a certain goddess told the builder of Blarney Castle, who was at the time embroiled in a lawsuit, to kiss the first stone he saw on his way out the door for the gift of eloquence which evidently was bestowed up on him by the ritual. Beautiful Ashford Castle from the lakefront view. 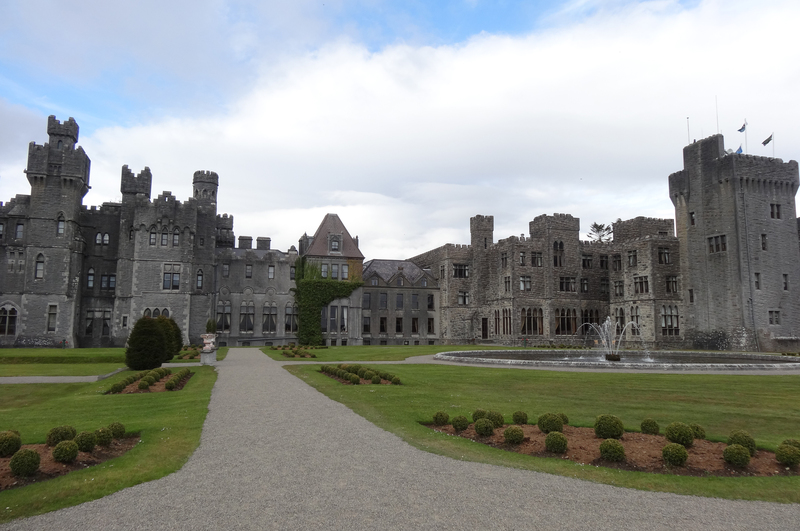 After that first castle experience we visited a number of other tower castles, eventually making our way to County Mayo and the wonderful Ashford Castle, a very different sort of experience. Here we stayed for two nights on this magnificent estate whose origins date to 1228. Through the ensuing centuries, pieces were added until the estate – castle and grounds on the shores of the lake Corrib – were acquired in 1852 by Sir Benjamin Lee Guinness of the Guinness beer fame. It was eventually sold; in 1939 it was first transformed into what was then referred to as a “first-class hotel.” It passed through the hands of several owners until this day when it stands as a grand hotel that has been voted the number 1 hotel in Ireland by Condé Nast Traveller many times, and Trip Advisor’s number 1 European castle hotel; it has also garnered a mass of other accolades. So we spent two days strolling the grounds and exploring the grand building, feeling a bit like royalty ourselves. As we walked through the striking rooms, we found ourselves swept back in time. 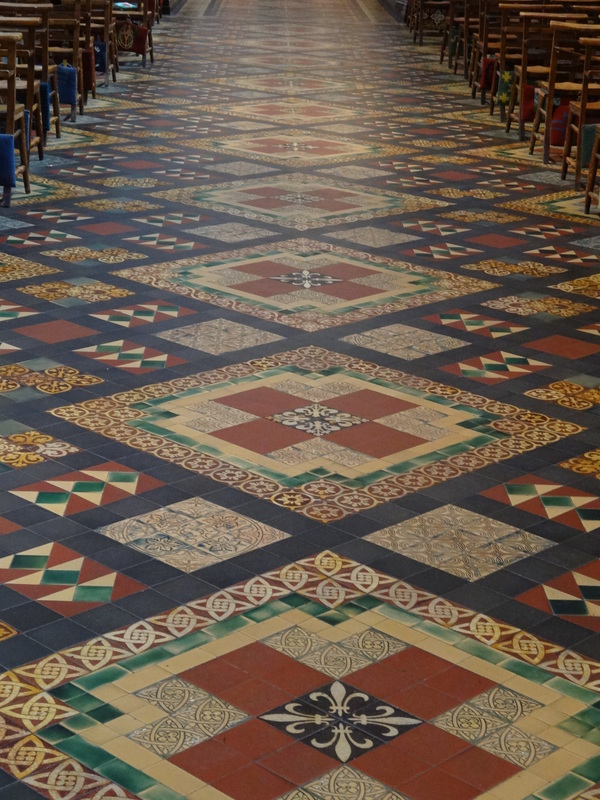 The floors creak a bit but the décor is authentic – and priceless. 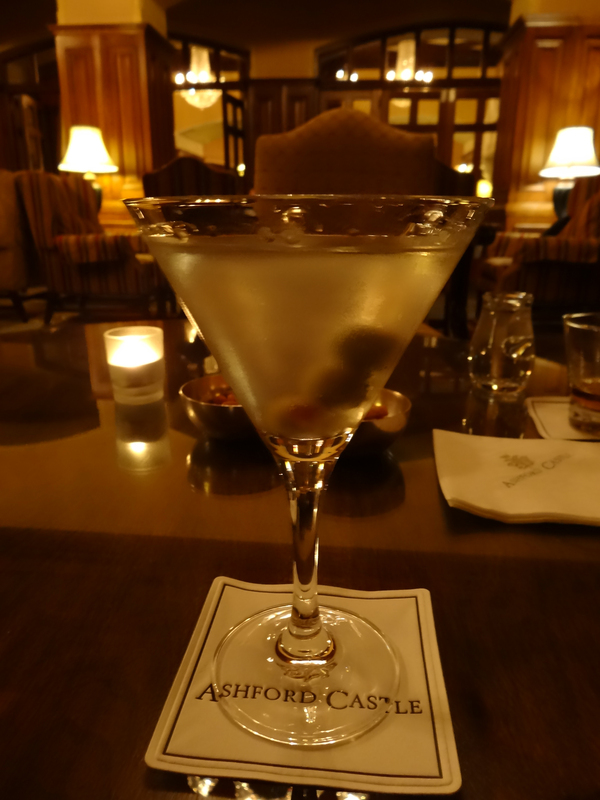 Our discerning scrutiny, as always, looks to the service as the piece that is most important in the end, and Ashford Castle did not disappoint (with one small exception of a surly bartender who was reformed by the following evening!). We spent our last night in Ireland sitting in the magnificent lounge listening to a wonderful trio of singer, pianist and guitarist whose smooth melodies lulled us into complete relaxation. Their rendition of The Fields of Athenry will always stay with us – haunting us, no doubt, until we return to the Emerald Isle. 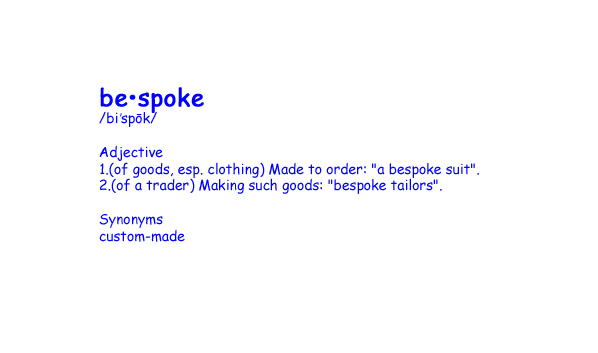 Bespoke…the very word conjures up images of the rich and famous standing in front of a mirror as they are measured for their custom-made suits and dresses. It seems like anything that is custom-made for you must, by its very nature, be expensive and out of reach. But what if you were able to work with a travel professional who was an expert in her field to create for you that customized trip that would fulfill your dreams of seeing some places that have long been on your bucket list? And what if you were picked up at the airport by an immaculately-clad driver who led you to a shiny black Mercedes to take you on an orientation tour of the city before ensuring that you were well taken care of at your hotel? And what if this whole experience didn’t cost you nearly as much as you’re beginning to think as you read this? Well, welcome to the world of bespoke travel – and we’re just back from another customized tour, this time created for us by world-renowned Kensington Tours. It all began at the Dublin Airport last month when we were that couple being escorted to the Mercedes by the impeccable driver who then proceeded to not only drive us to our downtown hotel, but act as our guide. An expert in Irish history, he was an amazing font of information that we capitalized on the next day as we explored Dublin on our own (after following his spot-on recommendation to dine at Trocadero that evening). 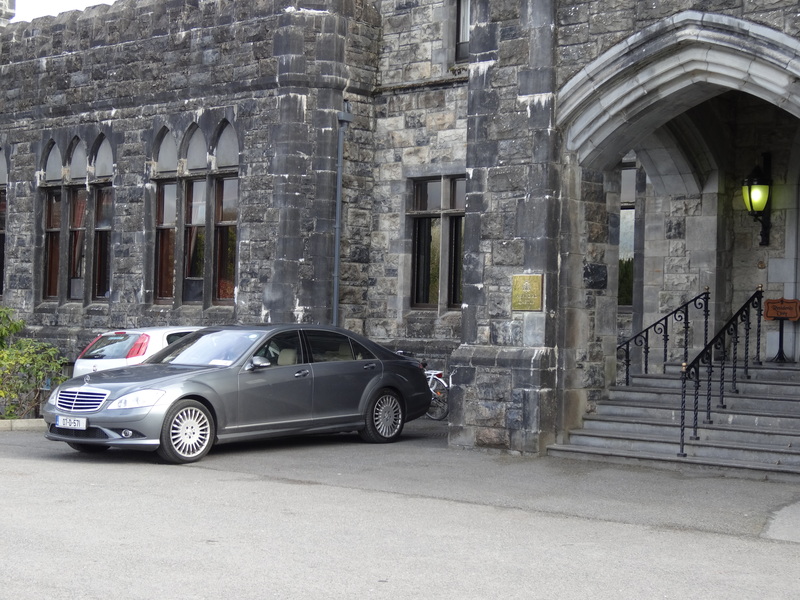 Our Irish drive parked outside Ashford Castle. Although it had been the plan to have the same driver from the very beginning to the bitter end, our scheduled driver was ill and was replaced while we were still in Dublin by Kevin – and he was as wonderful as the first driver. We were soon to find out that his extensive knowledge of Ireland and all things Irish, coupled with the fact that he seemed to know everyone in the country (and we do mean everyone), were designed to make this trip a flawless experience of a lifetime that will go down in our travel books as the only way to go! While still in Dublin, Kevin took us on a half-day trip to Newgrange to visit the stone-age passage tomb that pre-dates the Egyptian pyramids. Never hovering over us, he provided us with important clues to maximizing the experience and then left us to take advantage of the venue on our own with the expert guidance of the tour leader. (One important tip he gave us was to buy an Irish Heritage card that would give us access to many heritage sites throughout the country for one small price. No more buying tickets!). This passage into ancient history is not to be missed while in Ireland! Picking us up at 10 am the next morning, Kevin slightly modified our planned itinerary to improve our experience. We are always open to suggestions from those who know better and we were not disappointed. As a trio we reviewed each day’s itinerary in advance to ensure that what we experienced was not only the best of Ireland, but the things that were of most interest to us as individuals. This attention to personalization is one of the things that we seek as discerning travelers who are focused on service and value. And we received both. 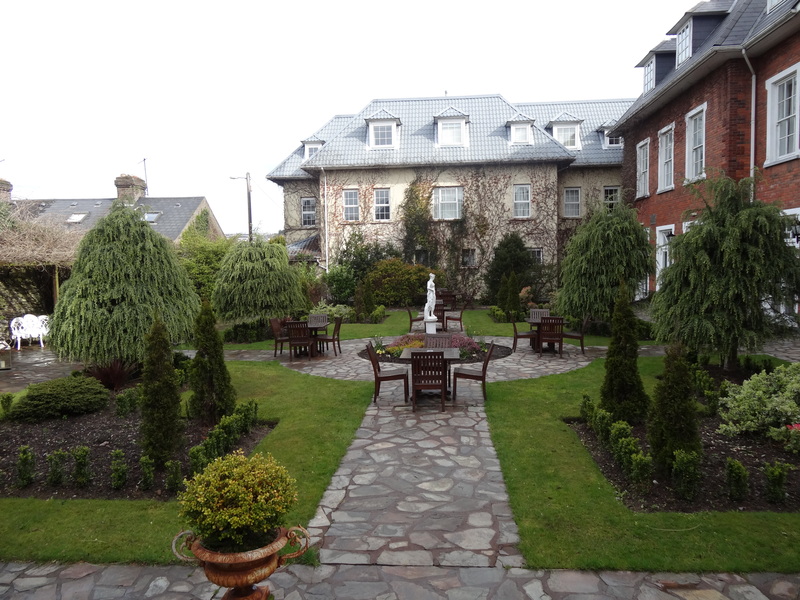 The back garden at Hayfield Manor in Cork. Although we had chosen to book our own hotel in Dublin, we allowed Kensington’s Ireland specialist to select our deluxe accommodations for the rest of the trip. We were not disappointed on this front either. We spent the first night in Cork at Hayfield Manor, a wonderful property at the end of a tree-lined cul-de-sac bordering on the University of Cork. The service at this highly-recommended hotel is outstanding, as is the dining. We then spent two nights at Killarney Park Hotel in County Kerry, a surprisingly special place. Purpose built as a hotel only 20 years ago, this property imbues you with the feeling that you’d been transported into a centuries-old country manor. Its location downtown Killarney allowed us to spend a wonderful evening exploring the tiny streets, eating at a restaurant recommended to us by Kevin, and then spending an hour at a pub with a beer in hand humming along with the Irish singers. It was reminiscent of our university days when Irish music was all the rage on Canadian university campuses. But that was a long time ago! 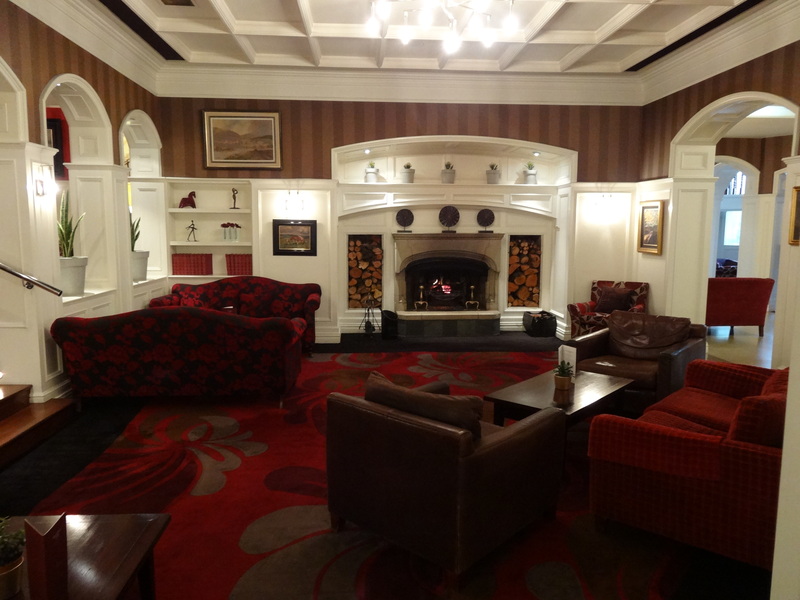 The lounge at Killarney Park Hotel, County Kerry. Our last two nights on the road were spent at Ashford Castle. What a wonderful experience. To describe our experience at this castle would take an entire blog post – and we’ll do that next week, so come back if you want to know more about it. Every moment of the trip was an experience to be remembered for a lifetime. From our visit to Trinity College and the Book of Kells in Dublin, to Blarney Castle, the Irish pub night, the breathtaking Dingle peninsula, the monastery ruins, and everything in between, we couldn’t have asked for a better way to travel. We have already begun to plan our next bespoke trip with Kensington. Now all we have to do is decide if it will be South America, a safari in Africa or the Great Wall of China! Stay tuned. Now if you a few minutes, come along with us on our tour of Ireland.